Happy Medal Monday! Today I am shining the spotlight on Stephanie. She blogs at Steph Plus 4. 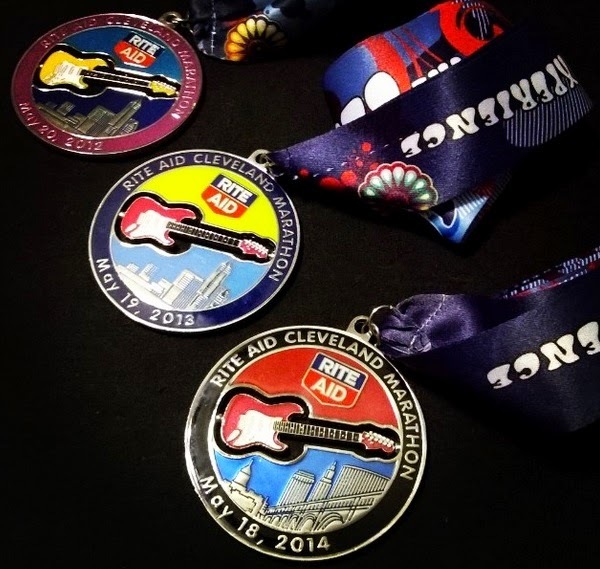 Pictured above is Stephanie's favorite medal from the 2014 Cleveland Marathon. It is her favorite medal because it represents a new PR, beating her previous time by 14 minutes when her goal was to beat it by only 10 minutes. 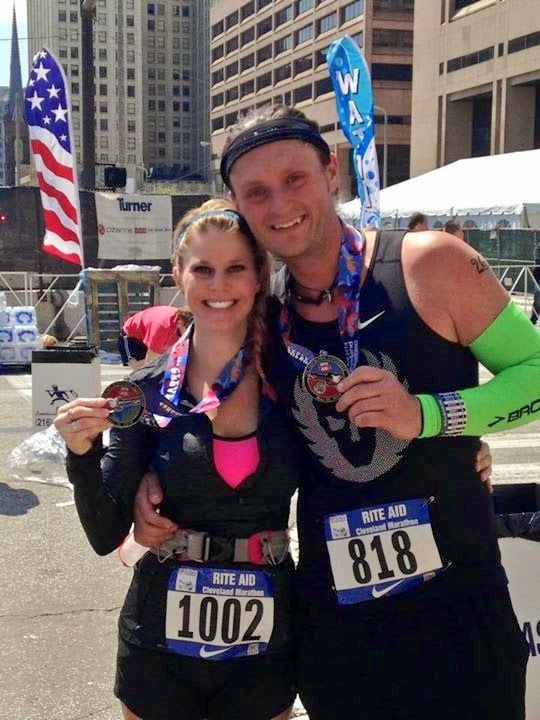 She ran the race with her boyfriend (pictured above) and it was his first marathon and they trained and ran the entire race together. 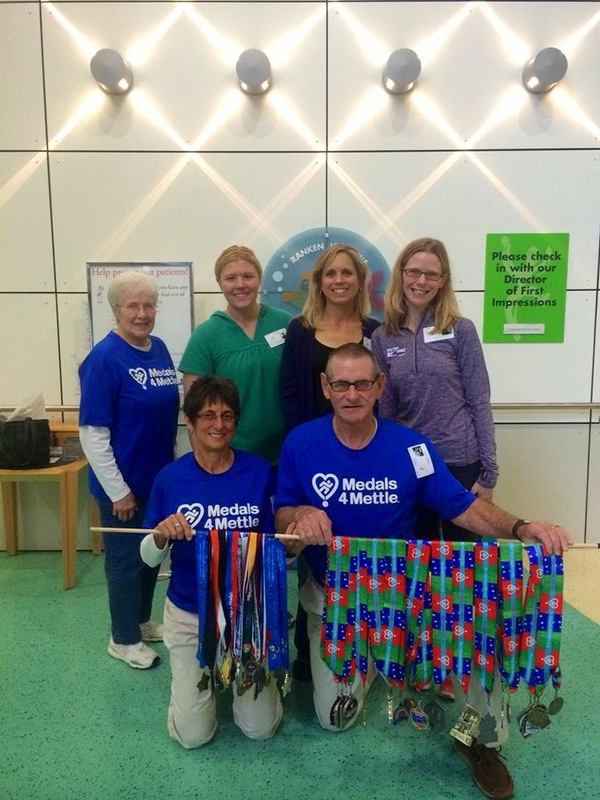 Stephanie was also an official blogger for the marathon, so she had the opportunity to chronicle the entire journey from Day 1 of training to the finish line. Stephanie is from Cleveland, so she was proud to support this race. It's time for vacation and Disneyland!!! Are you a "Zen Runner" too?